Live music and arts listings. Places to eat, drink, shop and socialise. EVERY TUESDAY – THE FLOWER POT – ELECTRO ACOUSTIC JAM NIGHT. 8pm. Plug In & Play Acoustic Open Mic. THURSDAY 4TH APRIL – MARKET HOUSE – SMALLTOWN MISFITS, OVERBEAR MOLLY 8.30pm. Indie / Alternative Rock / Acoustic. MSN Gig. FRIDAY 5TH APRIL – PIZZA EXPRESS LIVE – CHRIS CORCORAN. 7pm. £15. FRIDAY 5TH APRIL – MARKET HOUSE – PHOENIX FIRES. 9pm. SATURDAY 6TH APRIL – THE FLOWER POT – FEROCIOUS LOPEZ, THOMAS REINHART. 8.30pm. Alternative / Funk / Acoustic. Make Some Noise Gig. 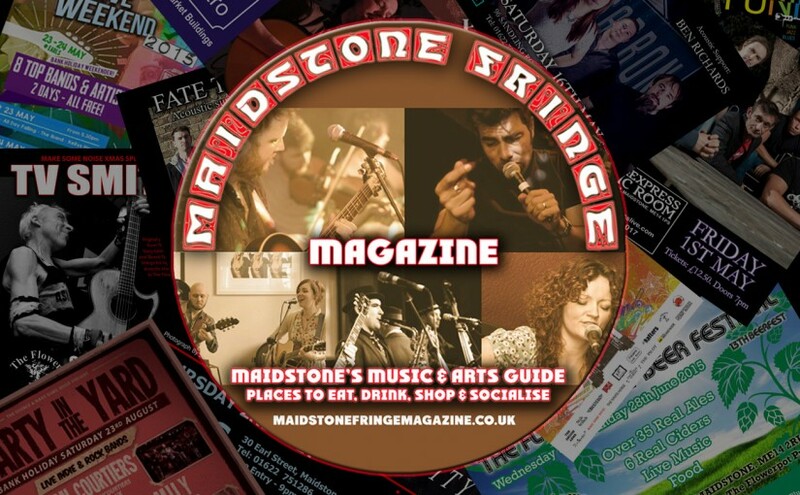 SATURDAY 6TH APRIL – MARKET HOUSE – THE MASH-UP BAND. 9pm. FRIDAY 12TH APRIL – PIZZA EXPRESS LIVE – RODNEY BRANNIGAN. 7pm. £15. SATURDAY 13TH APRIL – MARKET HOUSE – SPITROAST. 9pm. SATURDAY 13TH APRIL – PIZZA EXPRESS LIVE – JOCEE. 7pm. £20. THURSDAY 18TH APRIL – PIZZA EXPRESS LIVE – PAUL DUNTON PRESENTS. 7pm. £7. SATURDAY 20TH APRIL – PIZZA EXPRESS LIVE – LIVE IN THE LIVING ROOM. 7pm. £5. Acoustic Showcase Gig in aid of Dementia UK. SUNDAY 21ST APRIL – MARKET HOUSE – KELLY BOURNE – 3pm. SAM JACQUES DUO – 5.30pm. Acoustic Gig. FRIDAY 26TH APRIL – PIZZA EXPRESS LIVE – GOOSEBUMPS. 7pm. £12. SATURDAY 27TH APRIL – THE FLOWER POT – THE SWEETCHUNKS BAND. 9pm. Folk / Rock / Comedy Drinking Songs.